UFC 37.5: As Real As It Gets hosted a light-heavyweight title eliminator between two all-time Octagon greats Chuck “The Iceman” Liddell vs. “The Phenom” Vitor Belfort. Also, Robbie Lawler and Steve Berger’s clash makes it to cable TV. 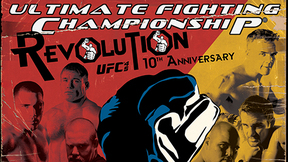 Chuck Liddell vs Vitor Belfort UFC 37.5 Sat, Jun 22, 2002 (33:40) In the night’s main event, a UFC light-heavyweight title shot was on the line as the 10-1, Kempo karate striker Chuck “The Iceman” Liddell, who was amidst an eight fight win streak, went up against the returning knockout artist “The Phenom,” Vitor Belfort. 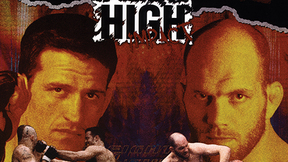 Benji Radach vs. Nick Serra UFC 37.5 Sat, Jun 22, 2002 (23:38) Someone’s 0 has got to go as the heavy-handed Benji “Razor” Radach was ready to try and keep the fight standing against an Octagon debutant with a Brazilian jiu-jitsu blackbelt under Renzo Gracie - Nick “The Mad Monkey” Serra. 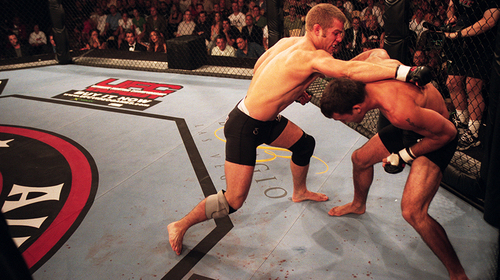 Pete Spratt vs. Zach Light UFC 37.5 Sat, Jun 22, 2002 (9:18) After earning a 10-5 pro record on the local circuits, former collegiate athletic star and Kenpo karate blackbelt Pete Spratt was making his Octagon debut against fellow first-timer Zach Light, an All-American at Ellsworth Community College. Robbie Lawler vs. Steve Berger UFC 37.5 Sat, Jun 22, 2002 (2:49) One month removed from his victorious Octagon debut, the undefeated “Ruthless” Robbie Lawler put on such an exciting brawl with journeyman Steve Berger that Fox Sports Net's The Best Damn Sports Show Period put it on cable television, a UFC/MMA first. 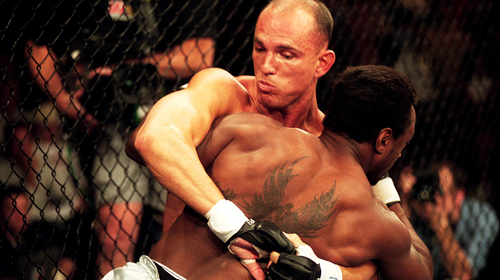 Tony Fryklund vs. Rodrigo Ruas UFC 37.5 Sat, Jun 22, 2002 (15:55) Better late than never! 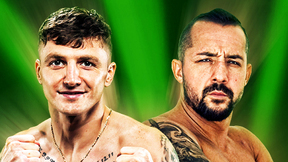 5 years removed from his first Octagon appearance, Tony “The Freak” Fryklund readied his BJJ & Shotokan karate blackbelt to enter the UFC against Marco Ruas’ undefeated nephew Rodrigo Ruas in his promotion debut. 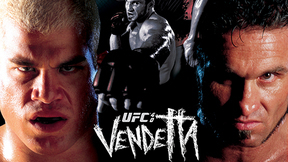 Yves Edwards vs. Joao Pierini UFC 37.5 Sat, Jun 22, 2002 (8:47) In his two Octagon appearances resulting in two disappointing decision losses, Bahamian fighter Yves Edwards had shown great skill in striking & grappling, but the “Thugjitsu Master” needed to show he could win as he took on debuting Joao Pierini.